How quickly time passes… last week I was vacationing in the beautiful surroundings of Italy and now…well, it’s all a cherished memory as I work my way back into the daily routines of my life. Yet, I brought back a different me from this trip. A woman who once feared venturing out alone, pretty low on the confidence pole and decision doubting, to a renewed, refreshed, totally in awe of life and beauty, humbled by my inner strength and a new amore la vita, love of life! Enjoying daily meals of bread, pasta and pizza, was like being in heaven….and I didn’t bloat or gain an ounce of weight! I’ve decided that the bread, pasta and pizza are completely different in Italy. Made with love, the carbs in Italy nourished my body, energized my day and blessed me with an overall pleasure of eating well. Back home now, I welcomed having several main veggie meals to get me back on track. 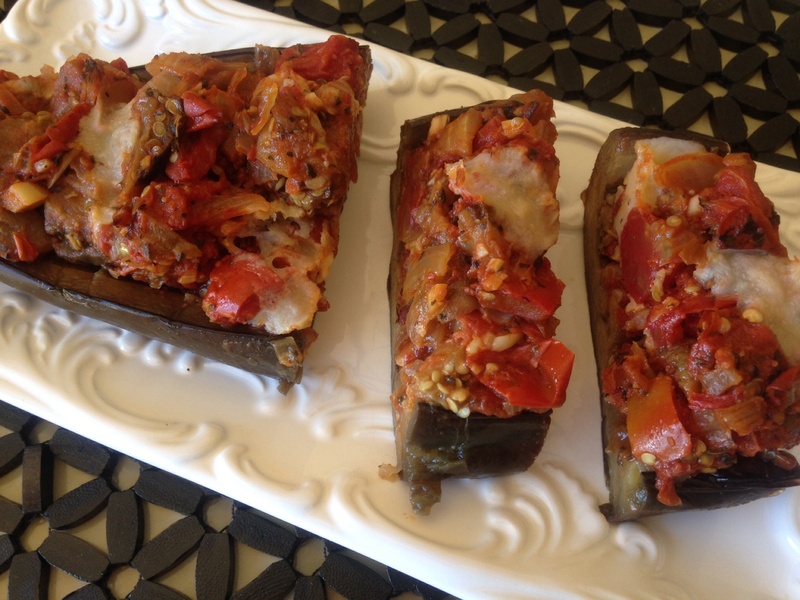 One of my favorite, most versatile and very easy dishes, is a simple baked eggplant. One skillet, one baking dish. Cut, chop, sauté and bake; easy enough for a quick weeknight meal….with some crusty bread and a glass of wine, if you’re feeling a bit Italian. I also love to make it ahead, either earlier in the day or the day before, as it firms up and can be served as an appetizer, or antipasti. Preheat oven to 350 degrees. Score the eggplant halves being careful to not cut through the skin and leaving about a 1/4 inch shell. Heat about 2 tablespoons of olive oil in a large skillet and place the eggplant halves cut side down; cook for about 3-5 minutes until the flesh is lightly browned and soft. Remove from skillet to cool slightly. In the same skillet, add in remaining 2 tablespoons of oil. Cook the onions until soft. Stir in the diced tomatoes, tomato paste, garlic, salt, pepper and dried basil. Allow to simmer for about 10 minutes. Meanwhile, scoop out the flesh from the eggplant – it my need to be cut if not soft enough to scoop. 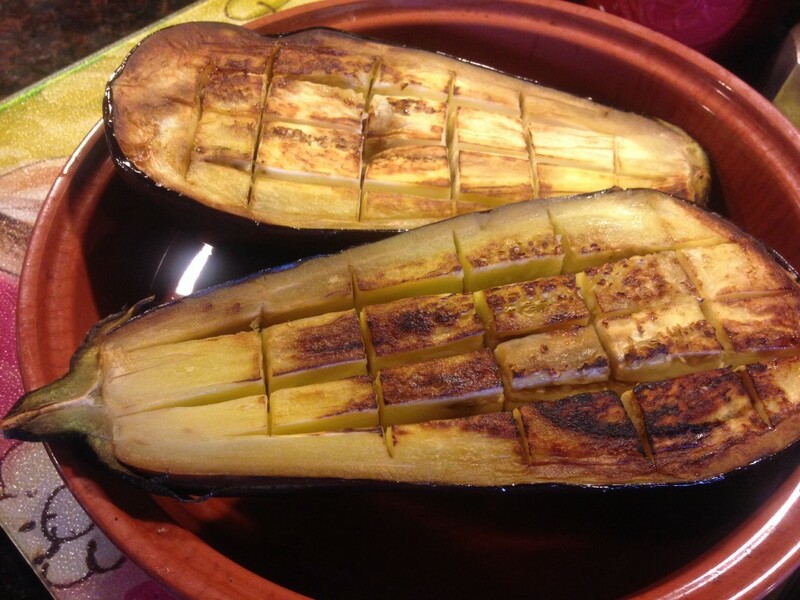 Chop the eggplant flesh and place the eggplant shells in a lightly greased baking dish. Stir in the eggplant flesh into the skillet and cook until thick and bubbly. Taste and season if necessary. Mix in the vegan mozzarella, saving a bit to top the shells. Spoon the filling into eggplant halves. Cover with foil and bake for 30 minutes. Sprinkle on chopped fresh basil. 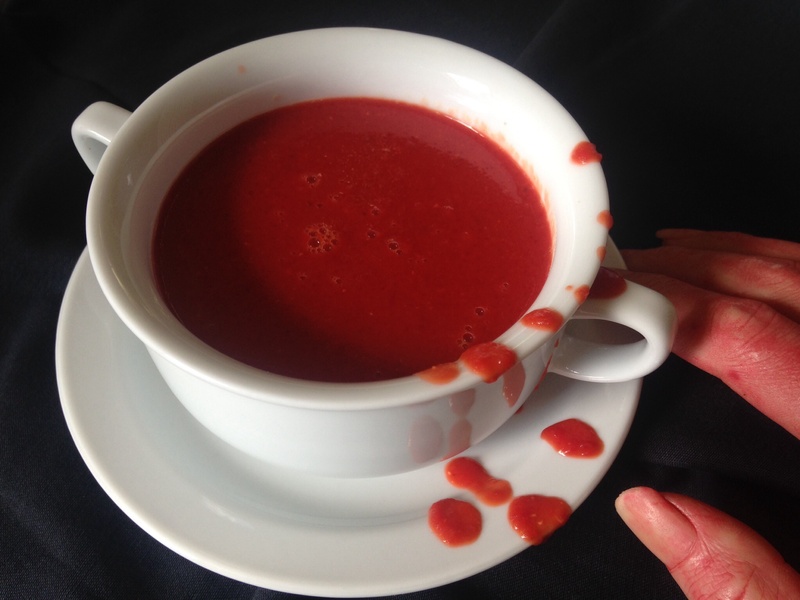 Serve immediately, or at room temperature. Serves two as a main dish; serves 6 as an appetizer. Can’t have enough eggplant recipes. I like your recipe for stuffing the eggplant. Thanks Jovina. Regardless of the season, I seem to always have an eggplant in my kitchen waiting to be prepared in dozens of ways! Well…isnt that a very interesting bit of information!! Thanks for letting me know, I was not aware! Aww, yes, thanks Tanya for noticing. I feel it in my voice, my spirit and all over! 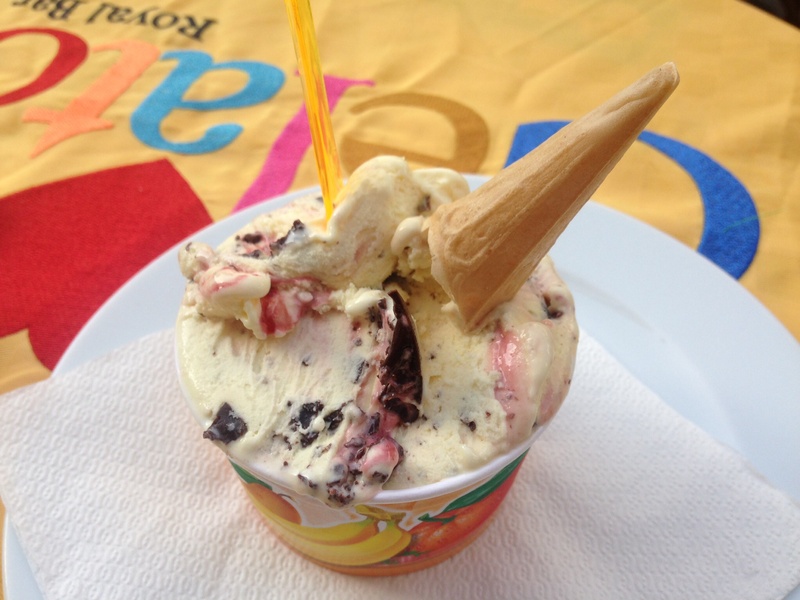 I may need to return to Italy every now and then to keep it going!! 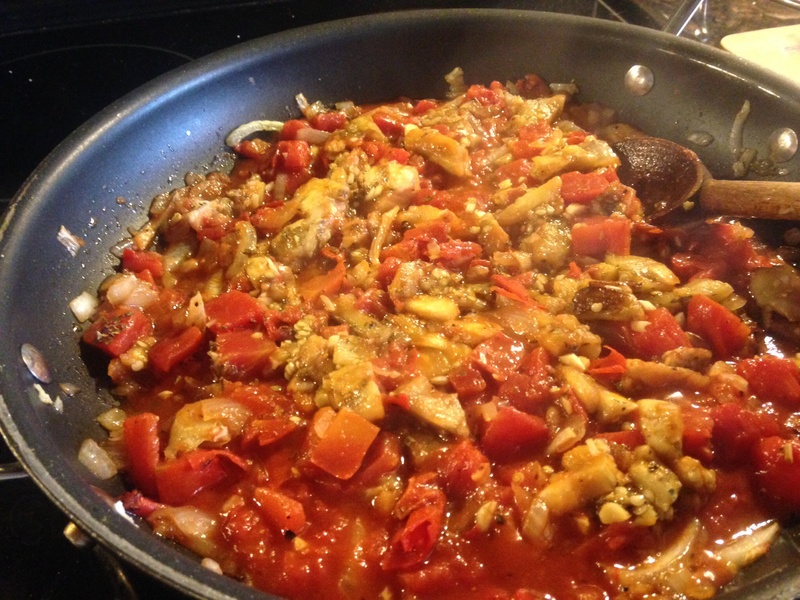 Parmigiana not Parmigina – but maybe we could name it after your daughter!! lol… I kinda like that…ParmaGina! Delicious. I just love egg plant roasted and all of those delicious toppings make this a winner of a dish. One week went by very quickly. Especially when others had mentioned they were traveling for several weeks! I so do hope to return and now feeling more confident of my traveling abilities, I’d love to spend more time. 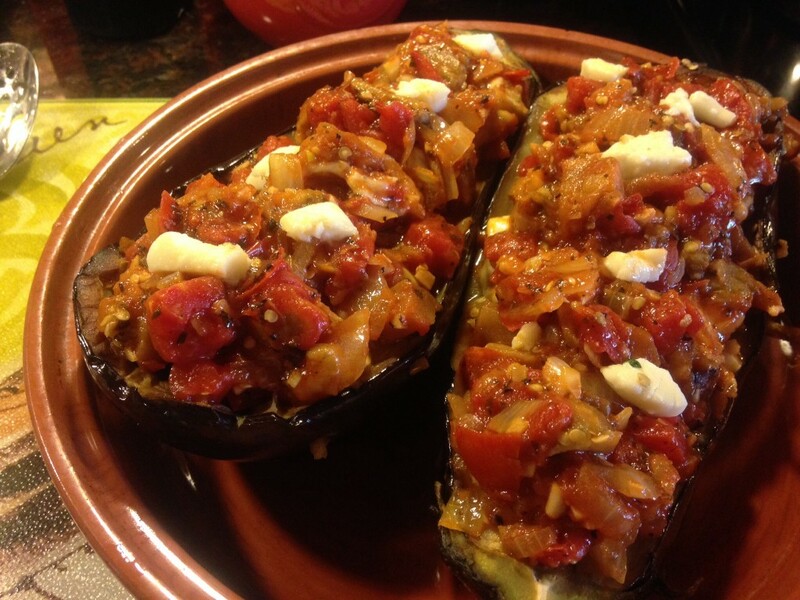 There are so many great ways to prepare baked eggplant and this recipe is right up there with the best. It makes such a great platform for so many toppings, each better than its predecessors. Eggplant is so delicious. I don’t make it as often ad I would like. 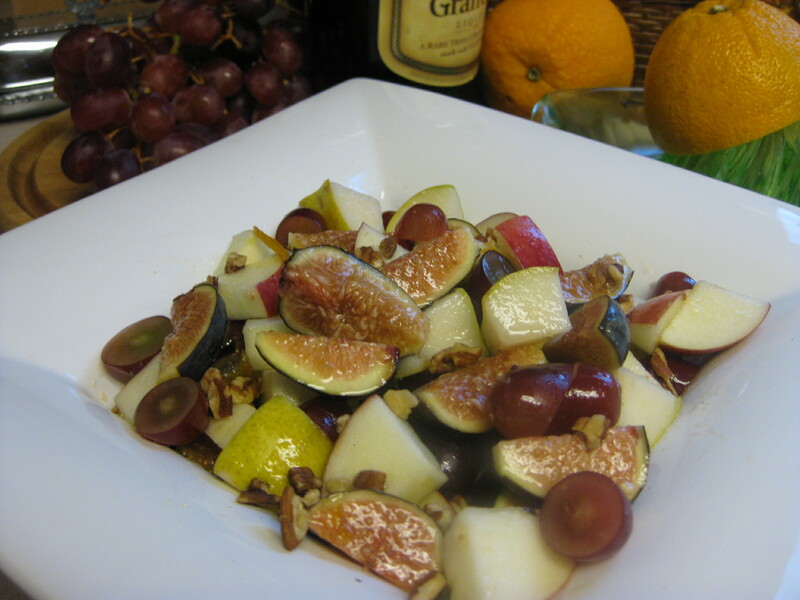 Your recipe looks wonderful and i definitely would enjoy a glass of wine with it! 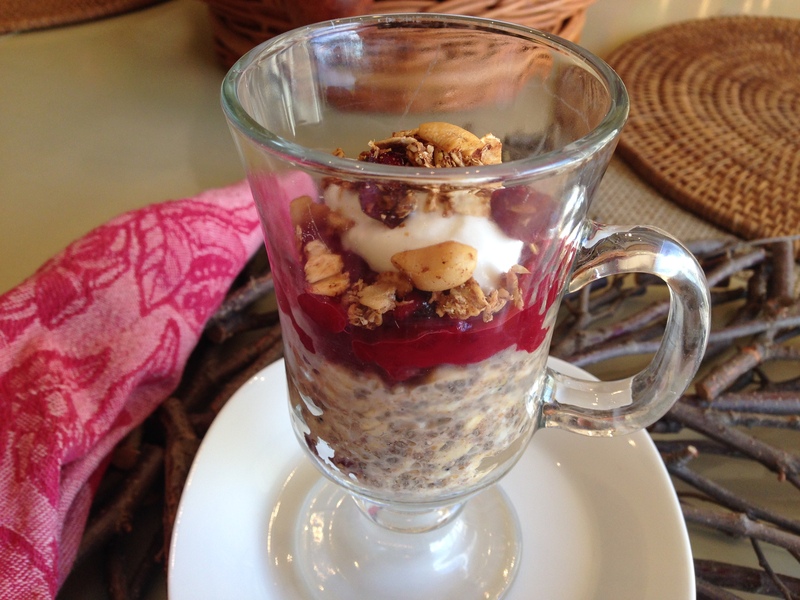 That looks so delicious and easy – will add it to my list! Linda, this is such a great idea ~ eggplant bruschetta 🙂 while I do eat (and greatly enjoy) bread on occasion, I also look for delicious alternatives to break things up and give my aging metabolism a well deserved break ;-). It sounds like you had an amazing trip — one of the nicest things about taking a holiday is that we return inspired to relive the experiences in our kitchen! I have a feeling will be enjoying your Italian holiday for some time to come, and that’s a good thing. Welcome home. Isn’t it funny that Italian bread treats your body differently. I’m intrigued by that almost as much as this eggplant dish. 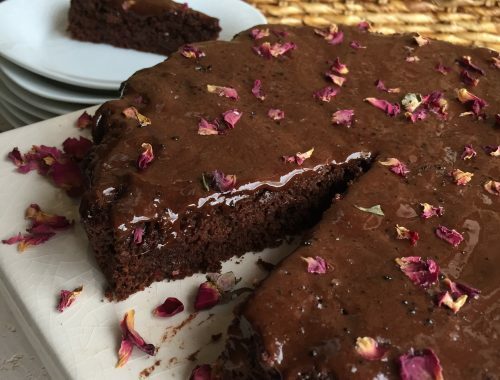 I want to try your new recipes!